The cryptocurrency industry is working to make trading safe and easy. 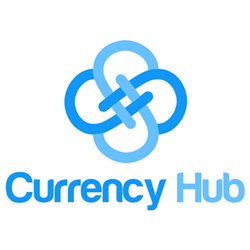 Currency Hub is a simple to use, non-custodial cryptocurrency trading platform. The biggest challenge we face is helping non-technical people understand the nuances of trading digital assets. Currency Hub was designed from the ground up to make trading cryptocurrency safe and easy, supporting both novice and experienced traders. Partnering with The Foundation for Interwallet Operability as an Affiliate member helps drive that vision forward by removing the most error prone aspects of trading. David Gold, the founder and CEO of Dapix "We are excited to have Currency Hub join the Foundation for Interwallet Operability (FIO) as an Affiliate Member. The FIO Protocol will enable exchanges like Currency Hub to streamline the process for trading on their platform: enabling fewer steps, better overall user experience and with virtually error free transactions"